One of the most important events in music of 2018 was the BBC’s International Women’s Day broadcasts and live concerts. Performances and recordings were aired based on special research aimed at bringing to light unknown music composed by women. The highlight of the day was this concert by the BBC Concert Orchestra. We wanted to make sure this event is recalled and acknowledged so we have asked the noted musicologist Dr. Deborah Hayes to review the concert. 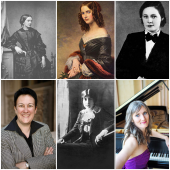 Dr. Deborah Hayes is a pioneering scholar in the work to recover neglected women composers. She is professor emerita at the College of Music at the University of Colorado at Boulder. 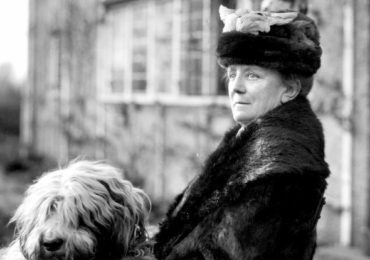 The five composers—Florence B. Price (1887-1953), Marianna Martines (1744-1813), Augusta Holmès (1847-1903), Johanna Müller-Hermann (1868-1941), and Leokadiya Kashperova (1872-1940)—were chosen by the Arts and Humanities Research Council upon recommendations from five English researchers: Shirley Thompson (Price), Jeremy Llewellyn (Martines), Anastasia Belina (Holmès), Carola Darwin (Müller-Hermann), and Graham Griffiths (Kashperova). Besides recommending a composer, each researcher prepared a work for performance, perhaps the first performance since the composer’s death. 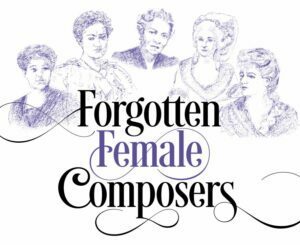 The concert was titled ‘Forgotten Female Composers,’ a description that seems most accurate for Kashperova, whose four-movement Symphony in B Minor was by far the longest work on the program. Well regarded in Tsarist Petersburg, Kashperova fled with her husband in advance of the 1917 Russian revolution and was officially ‘forgotten’, her work silenced by the new regime. Price, Martines, and Holmés, on the other hand, are now rather familiar names, and Müller-Hermann’s work is not entirely unknown. Still, the particular works of these four that were chosen for performance have been as ‘forgotten’ as Kashperova’s symphony. 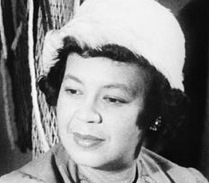 Florence Beatrice Price, née Smith, was one of the first African-American classical composers to win national recognition, the first black woman to achieve distinction as a classical composer nationally and abroad, and the first to compose symphonies. Her music, nearly 300 pieces in all, integrates elements of black folk music—African dance music, American slave songs, spirituals—with European classical models. Price was born and raised in Little Rock, Arkansas, a small city with a cosmopolitan character, a diverse population, and a thriving black professional upper class. Her father was a freeborn black dentist, her mother was a white elementary school music teacher. 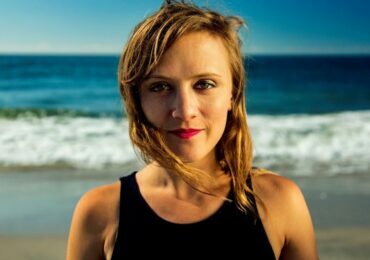 After high school, she earned a diploma from the prestigious New England Conservatory in Boston, then returned to Little Rock to teach and compose; she married and had children. In 1927, to escape a deteriorating racial climate, the Prices moved north to Chicago where she was welcomed by a supportive and nurturing community and composed her major works. Price’s Concert Overture No. 2, composed around 1943, is the second of her two concert overtures based on spirituals. It uses three melodies: Let my people go, Nobody knows the trouble I’ve seen, and Every time I feel the spirit. 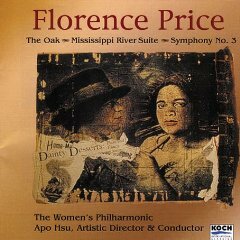 Price begins by presenting the three in turn, employing a range of orchestral color and harmonizations. About half-way through the fifteen-minute piece, Price begins to develop the melodies through thematic transformation, motivic exploration, and textural contrasts. Of the three main themes, Let my people go emerges as principal; the melody returns triumphantly at the climax and is repeated broadly and conclusively in the coda. Marianna Martines, the earliest of the five composers, was a prominent pianist, singer, and composer in Vienna in the late eighteenth century. Her surviving works include keyboard sonatas, a keyboard concerto, and many settings of Italian texts, including works for solo voice, oratorios, secular cantatas, and Psalm settings. Her 1781 oratorio Sant’Elena al Calvario (“St. Helen in Calvary”), rarely heard, uses a libretto by Metastasio. It tells of Helen (ca. 248–ca. 328), wife of Roman Emperor Constantius, the first Roman emperor to become a Christian. Helen converted as well, oversaw the construction of churches on Holy Land sites, and was credited with discovering the cross upon which Jesus was crucified. The center of the oratorio’s drama is the miracle that demonstrates the authenticity of the cross. When Helen’s companions hold the cross over a body being carried in a funeral procession, the man returns to life. Soprano Ilona Domnich sang two da capo arias from this oratorio. In Viennese classical style, the arias are recognizably Italianate in their coloratura passages, wide melodic leaps, and ornamentation. Ms. Domnich did not ornament the da capos further (as a specialist in historical performance would do). In Raggio di luce (“Ray of light”), a joyful Allegro in B-flat Major, strings and oboes accompany the voice in the ‘A’ section, depicting the “ray of heavenly light” that “sets my heart on fire.” Solo oboe and soprano engage in delightful motivic back-and-forth. The ‘B’ section, without oboe, is, by contrast, in the Sturm und Drang style, slower and beginning in minor mode with frequent chromatic modulation; Helen is “fervent,” “weary,” and “sincere.” Nel mira ch’el sasso amato (“In admiration before this beloved rock”), in F Major, has a noble and majestic main section; here Helen ponders Jesus’ “sorrows” and “our sinfulness.” The ‘B’ section is faster and suggests her agitation as she imagines the sunless day of Jesus’ death. The French composer Augusta Holmès wrote the Allegro feroce in her twenties, around 1870. It is an exciting, compact work for full orchestra, about eight minutes long. Bold, rich chords at the opening alternate with ascending arpeggios in strings and fanfare-like motives for trumpet. Transition passages prepare for the second section which is gentler and melodic. After development of the opening motives, the material of the first section returns and the music intensifies to the close. Besides Martines’ arias, Ilona Domnich sang three orchestral songs of the Viennese composer and teacher Johanna Müller-Hermann— the Drei Lieder, op. 33. The writing is in late romantic style, at times expressionist, somewhat reminiscent of the Lieder of Alma Mahler. Dr. Darwin notes that Müller-Hermann wrote the songs late in her career (1939?) when she was bravest harmonically and at the height of her talent. In the first song, Vorfrühling (“Early Spring”), she sets a poem of Hugo von Hofmannsthal; in the second and third songs, Trauminsel (“Island Dream”) and Liebeshymnus (“Hymn to Love”), the poet is Tona Herman, the composer’s sister. Throughout the songs Müller-Hermann’s colorful orchestration depicts the meaning and passionate emotions of the poetry. Repeated ascending figures in strings and winds at the opening of Vorfrühling, for instance, depict how “The spring wind runs through leafless avenues.” Domnich’s beautiful performance of this repertoire, along with her skill in singing Martines’ music, demonstrated her extraordinary stylistic range and vocal flexibility. Leokadiya Kashperova became known to Dr. Griffiths, a Stravinsky specialist, through Stravinsky’s reference to his piano teacher, unnamed, who was crucial to his professional development. In Russia, Griffiths identified this person as Kashperova, located her scores, and learned that she was not only a concert pianist who toured internationally but also a brilliant composer. The Symphony in B Minor, op. 4, dates from 1905, when she was a leading St. Petersburg musician, Eleven years later, Kashperova and her husband, perceiving revolution to be imminent, would flee to the Caucasus mountains. The symphony, about 40 minutes long, sounds unmistakably Russian in orchestration and melodic content. In the first movement, marked Andante – Allegro risoluto – Andante, about 14 minutes long, several melodic themes are developed by full orchestra, with striking passages for solo violin, cello, horn, and winds. The second movement, a brief Allegretto scherzando, consists of playful melodic sections in lighter orchestration. The third movement, Andante, is stately and solemn, with growing intensity. The finale begins wistfully, almost nostalgically, Andante sostenuto. Then the main section, Molto allegro develops a strong, active theme in scurrying strings, and a more lyrical second theme. The movement concludes with a broad Largo reprise of the opening melody. The BBC did a very great service in featuring these forgotten works and in bringing their excellent performing forces and a group of scholars together for this memorable and significant occasion. 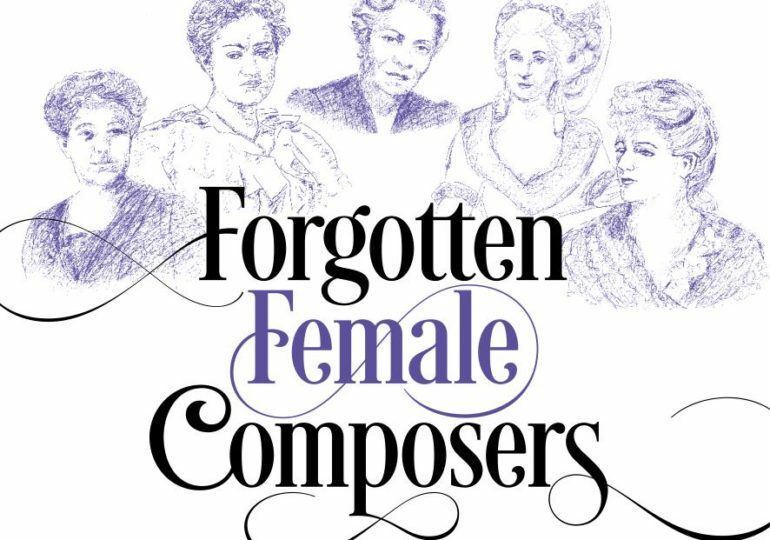 Concert program “Forgotten Female Composers” https://ahrc.ukri.org/documents/publications/forgotten-female-composers/.